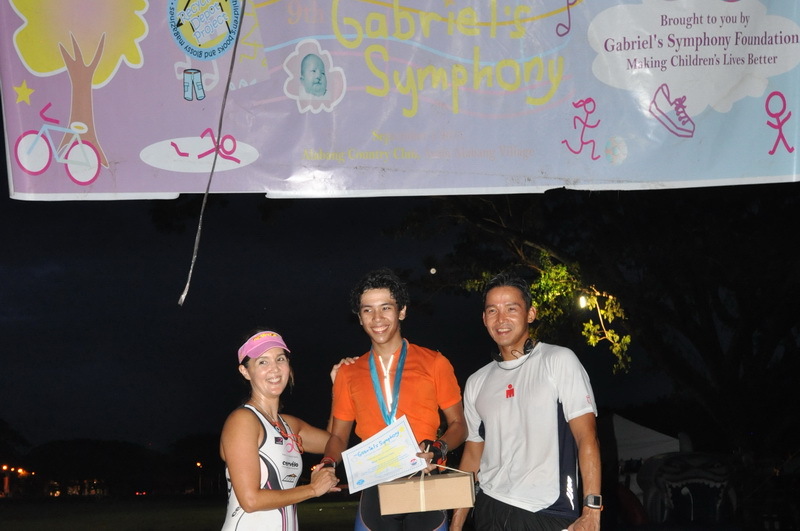 Like every night before our 12-hour multi-sport event in memory of my son Gabriel, I get very little sleep. And soon as my eyes close, my alarm starts ringing. It is still dark, I dress quickly and by the time I get to the Alabang Country Club, the night has turned into a pale blue shadow. Participants of our first event of the day are already at the pool. Then before you could take a deep breath, an orange streak cuts across the sky signaling the kind of hope a new day brings. And that is what my son Gabriel left behind. He only lived nine short months, but years after he died, hope reigns in the hearts of the many children whose lives are now better because of the many people who support our foundation in memory of Gabriel. Once a year, at daybreak, we celebrate the life of my son Gabriel. This year started with a swim-a-thon, then a run-a-thon, then a bike ride. Some did all three, to complete a triathlon. 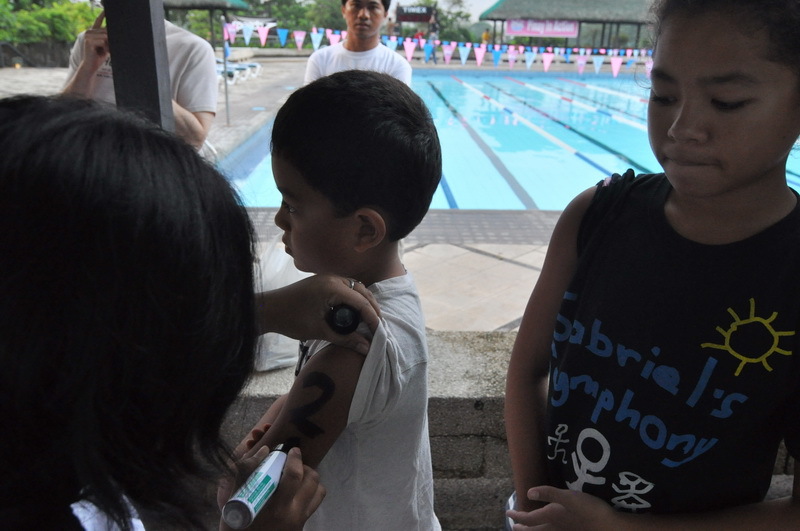 This year also marked our fifth year of doing a kid’s triathlon. It’s amazing to see kids who started out with us five years ago- how they’ve grown up and how much faster they are now! Every year there are more kids participating. The Daang Hari Barefoot Running Kids and the girls from Marillac Hills, a home for abused girls, are kids who our foundation have been supporting. They were there to join in on the fun. We had an adventure race for them then a self-defense class. After that, they had a surprise activity with the arrival of my friends Sylvia and Tonji Ramos who treated them to a bird watching session. 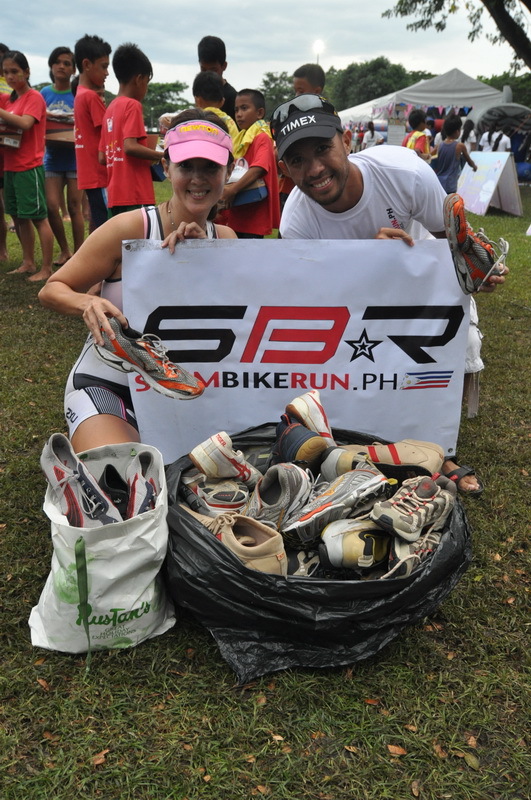 We also launched our first shoe drive with swimbikerun.ph founder Carlos De Guzman. The last activity for the day was our 1.6km buddy run, a fun run for any two friends, – a mother and child, friend and friend, or even, human and dog, as long as they run together. We had all kinds! Lino and I lined up with the rest of the participants hoping to just do an easy paced jog which would just add on to our running mileage for the day. But as it turned out, we were not the only brother-sister pair there. Ella and Donny Pangilinan took the lead from the start. 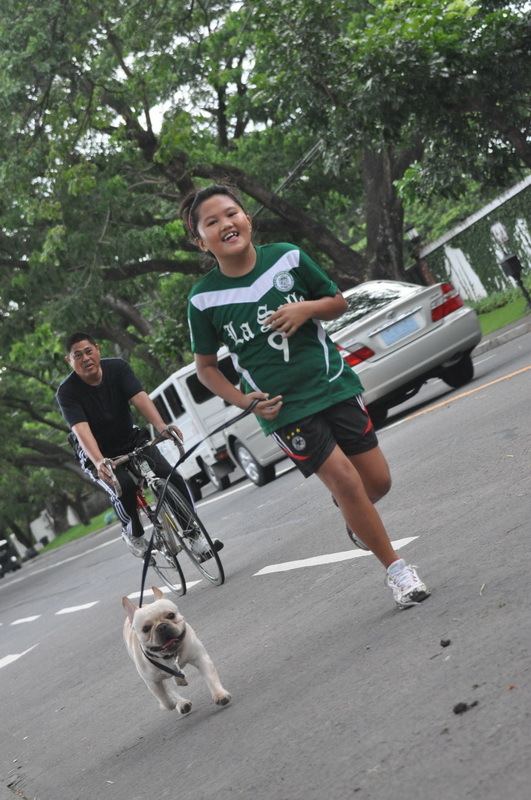 So there we were, two pairs of brothers and sisters on the run – Lino and I pushing, sweating and trying to go faster, the Pangilinan’s just gliding and widening their lead. We never got close enough, but we ran with conviction. After we crossed the finish line, I joked that as official organizer of the race, I would change the distance of the buddy run next year- maybe a 21 km, because that would be the minimum distance where Lino and I would have an iota of a chance of beating the fast twitch Pangilinans. Maiqui Dayrit came by to do a long run. He has done an ironman distance triathlon- a 3.8 km swim, 180 km bike, 42 km run- at our event every single year for the past six years and is by far our largest donor. He is doing an ironman again, but this time in Kona, at the Ironman World Champs which he qualified for at the Ironman 70.3 Philippines in Cam Sur. We will watch him and the rest of the Filipinos who qualified with pride. And at 6pm, Hans Kristian Juan‘s arrival, after doing an all day bike, his fifth year of doing so, signaled the end of this beautiful day.